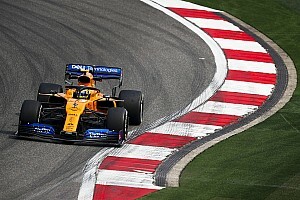 Having finished eighth in its first two seasons in the sport, the American squad made a jump in the pecking order in 2018, finishing in fifth place in the standings after a season-long battle for fourth with Renault. 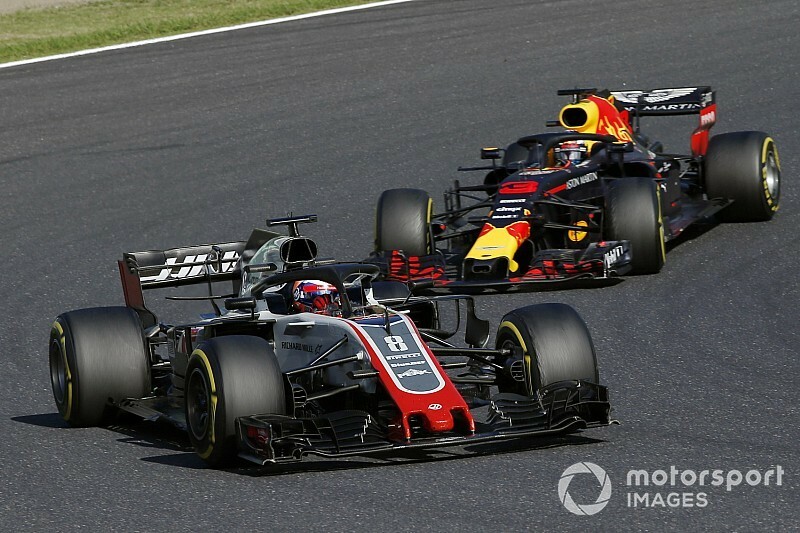 Team boss Gunther Steiner acknowledged after last season that errors due to a lack of experience were behind it losing out to its French rival, which finished 29 points ahead despite Haas appearing to have the quicker car on average. Grosjean reckons Haas needs to target the best-of-the-rest spot this year, but concedes it will need to raise its game to be able to do it. 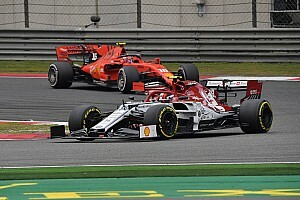 "It will be a big challenge, especially with the big change of regulation, but I think our goal next year will be to try and get fourth, behind the top three," Grosjean said. "So we'll have to step up our game. I think this year what we've learned is that we changed league, from the back of the midfield to the front of the midfield. "There are things that you can do, mistakes that you could do, but now you cannot, because everything counts, you need to be more precise, you need to be more accurate. "But its been a great year in terms of learning all of that, so I think the team is now ready to keep improving, keep going and if the baseline of the car is as good as it was this year, than there is no reason that we shouldn't be able to fight for fourth." 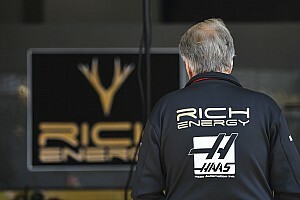 Grosjean has been with Haas since it joined Formula 1 in 2016 and the Frenchman says he is proud of having helped the team grow enough to make it appealing for top F1 people. "It is not only me, it is a lot of people involved, but yes, I am here since day one, and I've helped to get some people," he said. "Gene [Haas] is here and he wants to perform here and he loves it, so people are seeing that and they are [thinking] 'OK, it is a great adventure', same way I see it. 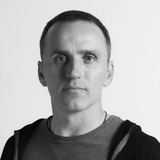 "You can join a brand new team or a new-ish team now and create, do more than you would do if you're on a big team, where everything is in place. "Of course you would bring a little bit to this, but here every piece you bring to the puzzle it is a bigger one, because the puzzle is newer." 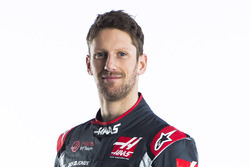 Grosjean secured a one-year contract extension for 2019 to stay alongside Kevin Magnussen, and admits he would like to extend his relationship with Haas beyond this year if the team continues to make progress. "I think I've got many more years. I don't know if I am going to finish at Haas or not. "For sure, we've got a contract and then we need to talk for the future, but it is a team I like and I feel very much part of it, and so I'd love to be here. "Obviously I would love to win races, and I hope Formula 1 is going to make changes for 2021, so it is not only Mercedes, Ferrari and sometimes Red Bulls, that wins, and in that case I would be very very happy to stay here."